While some people try their hardest to create a reputable business and earn their customers’ respect, others like to skip that part and go right to making a profit. However, in most cases, when people want to earn a lot without working for it, there are scams involved. Unfortunately, we have witnessed such scams in the jewelry industry as well. Therefore, in order to protect our customers, we have decided to give you some tips and teach you how to avoid being victimized by gold buying scams. Not every business is as trustworthy as The Gold ATM. If you don’t know much about the gold buying process, you could have a hard time determining if a dishonest jeweler or a pawn shop owner are deceiving you. For that reason, you should know that the value of gold changes on a daily basis. Hence, you need to stay informed and know what the current value of gold is. Before you take any action, you need to know what your gold jewelry is worth. If your item is genuine, determining its worth shouldn’t be too complicated. All you have to do is find the stamp that indicates gold purity, determine the gold karat, find the current market value of that karat, weigh your piece, and multiply the weight with the market value. In order to identify the current market value of the karat in question, you can look up today’s gold stock prices online. It’s very common that jewelry pieces are embedded with some precious stones such as diamonds. However, most businesses who buy gold make a profit by selling it to gold smelters. That means that precious stones can get in their way. Therefore, if you want to sell your gold jewelry for its weight, you should take the stones out. If you are visiting a trusted gold buyer, they may offer to take the stones out for you. On the other hand, scammers could pretend that the stones aren’t worth much and try to deceive you. 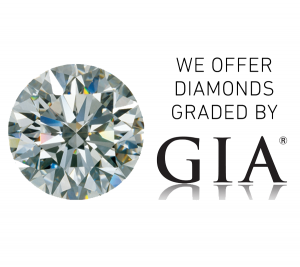 We are the most trusted gold buyer and diamond buyer in Atlanta. If you want to sell your gold without getting scammed, we are the right place to visit. We buy all sorts of fine gold jewelry and offer the best rates in the city — none of our competitors will be able to give you a better offer. On top of that, we provide the best jewelry loans and pawn loans on all diamond and gold jewelry, with interest rates starting as low as 5%. Moreover, we operate out of safe and secure high-rise office settings, ensuring a pressure-free environment for all our customers; if you are having second thoughts about selling your jewelry, we won’t pressure you into it.